Why Do Men Love to Fish? Fishing is a traditional activity for a lot of men. I have lived with natives in the Amazon and suburbanites in Dallas and from culture to culture men love to fish. If it is not fishing per se, it’s something in that same vein: hunting, birding, gardening, etc..
A man spends most of his waking hours in a fight. Life can be a brutal place. We are struggling to express our emotions, be the fathers and husband we need to be, and produce something by the end of the day. We’re using all our brain capacity trying to turn coffee and power bars into business reports, fence posts, or a well-manicured yard. Work is tough and takes a lot of mental energy. We live in the ebb and flow of anxiety, not knowing if we have made the right decisions. Stakes are high in the real world. Every day we are making plans that will determine if there will be more food on the table or less. This can be scary and exhausting. But then we go fishing. When we fish a man is free to exert all his energy–physical and mental. We go for the big fish every time, every cast. Fishing is an arena where a man can truly try his worth and test his mettle. When a fish is on the line, a good fisherman digs deep inside himself; every muscle is in tune with those of the fish. The fish can make no move that is not countered in a split second by the bipod overhead. It’s a pure type of fight–a tug-o-war between man and monster. But, at the end of the day, the stakes are low. If the monster burst the line or the hook gives way, he is no less the poorer. His pride is damaged and his ego sunk, but he can still go home and pay the bills. The man who fishes because he loves to fish is happy. And many a man lost his joy when he made his hobby his profession. 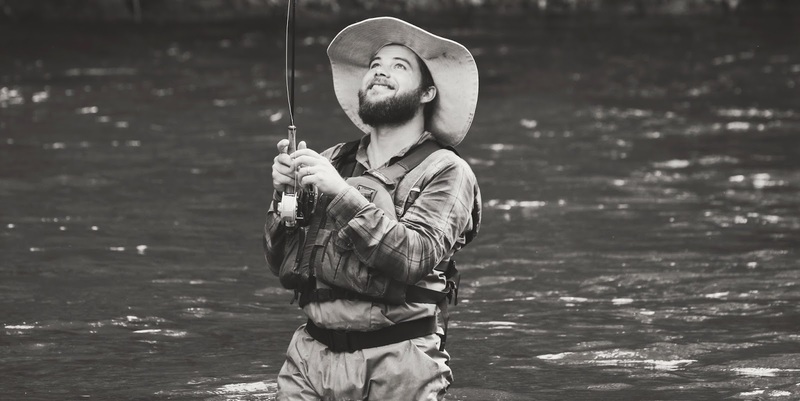 The fisherman who loves to fish can lose passion for the art as soon as he becomes the local guide beholding to tourist and asking for money in exchange for helping others to catch his fish. This phenomenon can happen to anyone: writer, hunter, carpenter. While some might think fishing a colossal waste of time, we know it is our hobby that gives us the space to grow more fully into the men that we must become and thus we put more food upon the table. Robert (Bobby) Lane is a former SWO staff member who now serves as a church planter and missionary in N’Djamena, Chad (Africa). He’s now spent over a decade serving with the IMB (International Missions Board). He specializes in linguistics and training indigenous pastors to faithfully plant and shepherd new churches.